Ahh...ah..AHHCHOO! Yup, Spring is definitely just around the corner, which means it’s time to pull out those pastel-colored cardies, dainty accessories, and floral skirts. Oh, and you’re going to want to this, too: J. Crew and Lacoste’s polo. Yes, you read that correctly. Two of the biggest names in preppy-chic fashion are teaming up to make one of springtime's biggest staples, just in time for the post-winter season. At first glance, the top may just look like a typical sporty Lacoste polo, but look again. There are a few noticeable differences. First off, the Lacoste for J. 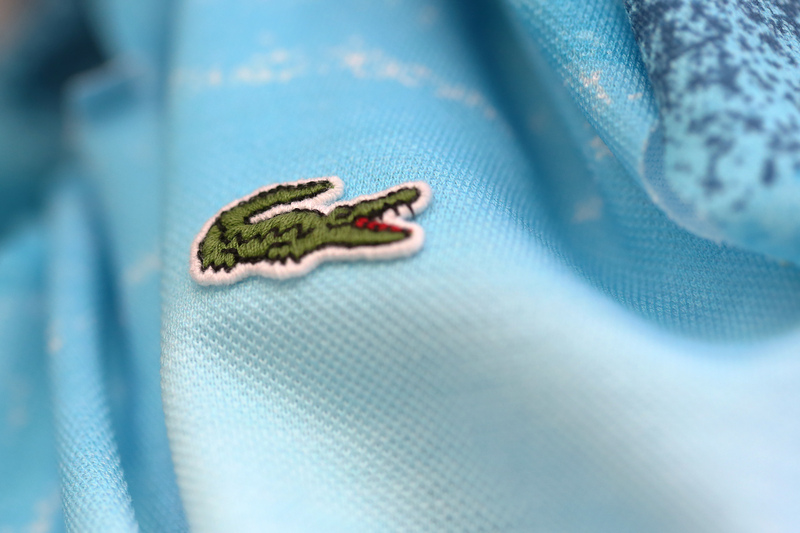 Crew polos were inspired by the signature 1983 Lacoste design — the one where the alligator logo had “Lacoste” sewn in the body of the traditional blue gator. But the logo isn't the only difference. The length is a bit longer than what we're used to, but that's just because the original came with tennis tails in their classic fit. If it's too "country club" for your taste, put a J. Crew spin on the polo and tuck one of the sides in asymmetrically (see model below). And if you’re still not convinced, allow me to help. Here are five ways that’ll inspire you to sport a polo — and have you bolting to the nearest J. Crew.